Fiber Antics by Veronica: Quilters: Do you have a word for 2016? 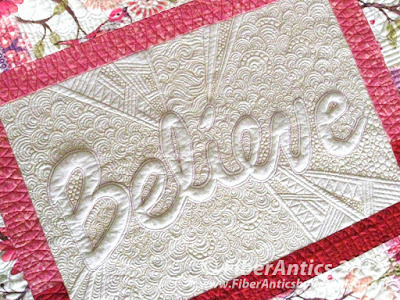 Quilters: Do you have a word for 2016? I was reading Upstate Lisa's blog post about how she considered and found her "word for 2016." She chose "Happiness." A fine word, and a great choice. While I don't really make New Year's resolutions, choosing an inspirational word to start off a new year is kind of a cool idea. If you're a quilter, however, it's not just a matter of choosing a word, but quilting it! "Defining Contours," a free-motion quilting class using micro fills and more. Are you up for this? 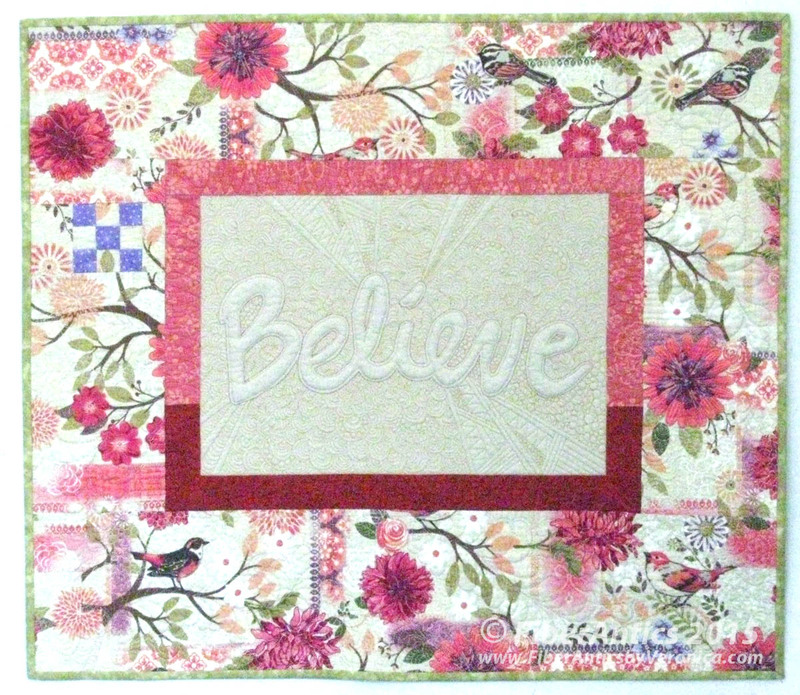 Quilting your New Year's inspirational word? "Defining Contours," my latest free-motion quilting class, fits the bill. I'll be teaching it in Huntsville, Alabama at Huntsville Sew and Vac on Saturday, January 23. Contact the shop or you can register on-line (eeeeasy). Meadowlark and Peppered Cottons fabrics from StudioE Fabrics. My class sample (above) features one of my favorite blender fabrics—a quilting-weight shot cotton that is fabulous for showing off your free-motion quilting—Peppered Cottons by Pepper Cory [for StudioE Fabrics]. Have you ever done free-motion quilting on a Peppered Cotton? Luscious. See this blog post and this post and you'll see why I chose this fabric. 100 wt. 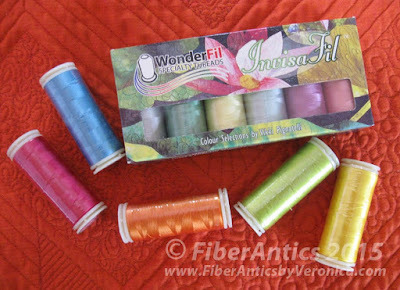 InvisaFil thread by WonderFil. The thread we'll be using for this free-motion work is InvisaFil [by WonderFil Threads] and it's perfect for the micro fills that will define the contours and elevate your word... right... off... the... quilt. by Jennifer Brinley for StudioE Fabrics. 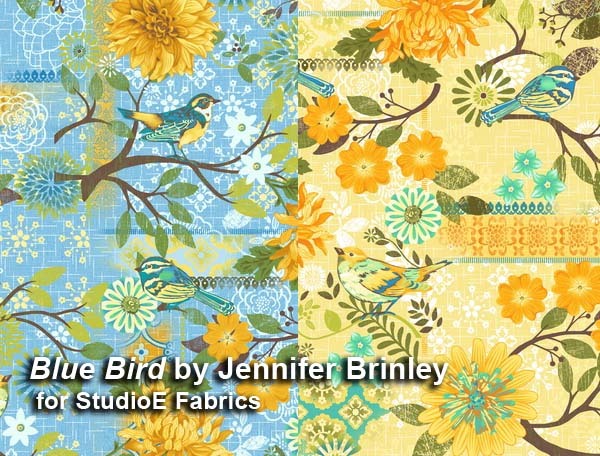 Meadowlark, one of Jennifer Brinley's earlier fabric collections for StudioE Fabrics is shown in my sample above, but students taking the class will receive fabrics in their class kit from Jennifer's new collection, Blue Bird, along with a coordinating Peppered Cotton. "Defining Contours," a NEW free-motion quilting class. 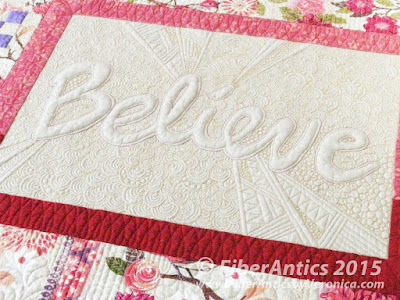 Are you ready to quilt up your 2016 word with me? Join me in Huntsville, AL on January 23 and we'll get your New Year started on the right foot—with a free-motion foot!